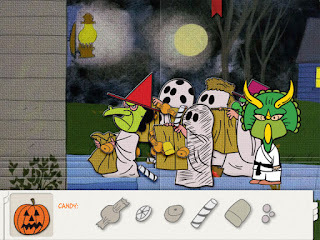 Just a reminder that the classic TV special It's the Great Pumpkin, Charlie Brown airs tonight, Wednesday, October 31, 2012 on ABC from 8:00 - 8:30 PM (Eastern/Pacific time). The currently untitled film's script will be written by Craig Schulz (Charles Schulz's son), Bryan Schulz (Craig Schulz's son), and Cornelius Uliano (writer of several short films). No plot details have been announced yet. Directing the film will be Steve Martino, who has directed two other films for Blue Sky Studios: the 2008 feature film version of Dr. Seuss's Horton Hears a Who! and the 2012 film Ice Age: Continental Drift. You can read the official press release at Blue Sky Studio's website. While the press release doesn't explicitly state how the movie will be animated, reading between the lines suggests it will be computer animation of some form (especially since all of Blue Sky Studio's films so far have been CGI). Keep in mind that the film has just been announced and isn't due for another three years; the details are probably still being worked out and films often undergo a variety of changes as they are produced. For example, the film's planned release date changed only six weeks after the initial announcement - initially they said it would be released November 25, 2015. It's likely there will be more changes to the release date over time; so if the date listed in this article doesn't match other dates you see, it probably changed again. This isn't the first Peanuts theatrical film; as fans will know, there were four earlier theatrically released films - A Boy Named Charlie Brown (1969), Snoopy Come Home (1972), Race for Your Life, Charlie Brown (1976), and Bon Voyage, Charlie Brown (1980). Stay tuned for more details in the months ahead! 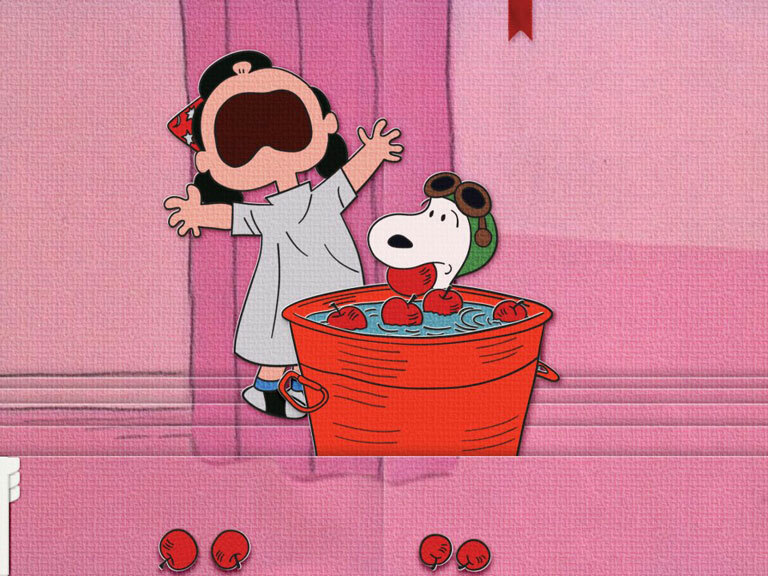 But in the meantime remember there are lots of other great Peanuts animation shows and films to enjoy, from the classic holiday specials, to the four earlier theatrical films, to the most recent release, 2011's Happiness is a Warm Blanket, Charlie Brown. 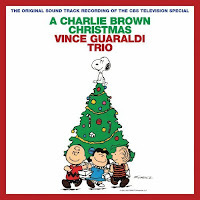 Getting a very early jump on the holiday season, Concord Music has released a newly remastered edition of the A Charlie Brown Christmas soundtrack album by Vince Guaraldi. You may be thinking, "didn't they remaster the soundtrack already?" Yes, they did. 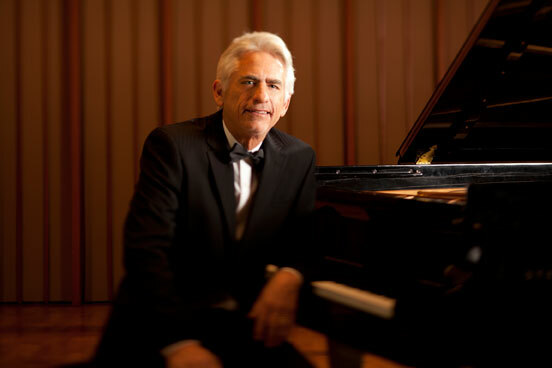 Concord issued a remastered and expanded version of the album in 2006, but some listeners found fault with that release's remastering for changing the sound of the album too much and using different edits and takes of some of the tracks. This new, 2012 remastered edition is a much more low-key remaster, resulting in modest sonic improvement and clarity over the original 1988 CD, but no radical changes. The 2012 remastered edition does feature a very nice 20-page booklet with generous new liner notes written by Guaraldi expert and historian Derrick Bang. You can check out Derrick's writeup about the new remastered album on his Impressions of Vince blog. 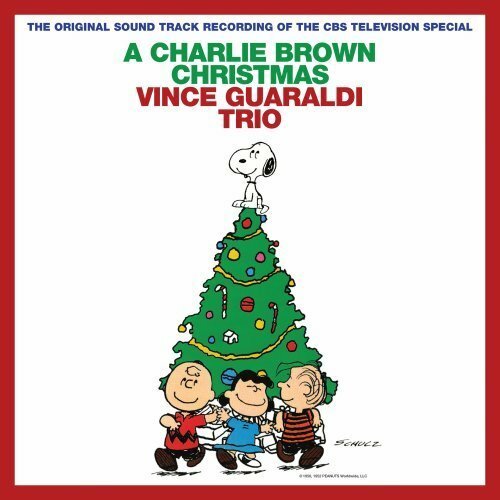 It appears that all three versions of the A Charlie Brown Christmas CD (the original 1988 release, the 2006 remaster, and the 2012 remaster) remain in print simultaneously, at least for the moment - presenting listeners with an embarrassment of choices (or possibly with the feeling that they'll need all three). The 2012 remaster is available as a digital download as well as on CD, and there's even a special green vinyl LP version of it! 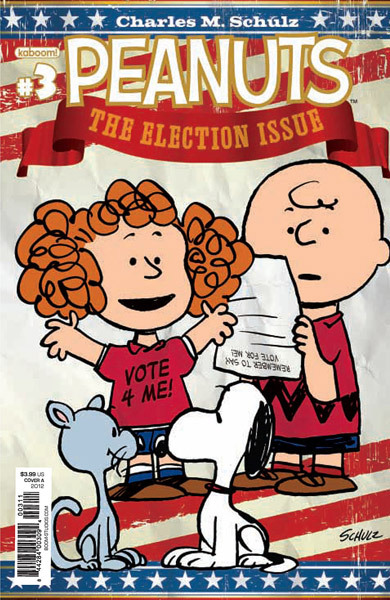 Warner Home Video's latest Peanuts DVD release, titled Happiness is... 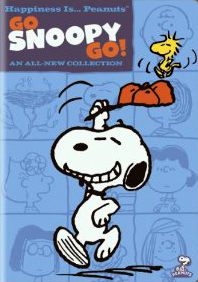 Peanuts: Go Snoopy Go, is available today, October 9, 2012. 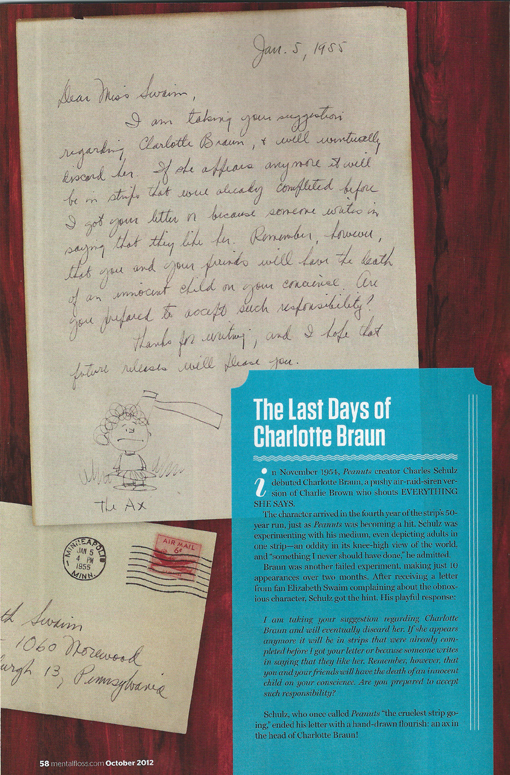 The DVD (like its predecessors) features two half-hour shows: the 1992 show It's Spring Training, Charlie Brown and "It's that Team Spirit, Charlie Brown," episode #12 of The Charlie Brown and Snoopy Show from 1983. It's Spring Training, Charlie Brown has a story similar to the classic 1966 special Charlie Brown's All-Stars: a local business will sponsor Charlie Brown's team and give them uniforms if the team can win the first game of the season. But will an early round of spring training in the snow and new team member, the tiny Leland, be enough help to get the win? It's Spring Training was previously released on DVD by Paramount, but that DVD has been out of print for several years. This will be the first U.S. DVD release of "It's That Team Spirit, Charlie Brown." The episode consists of five skits: "Vulture," "Blanket," "Peppermint Patty," "Rerun," and "Rainy Day." There are no special features on the DVD. Happiness is... Peanuts: Go Snoopy Go has a suggested retail price of $14.97. Also out today, Warner has collected three of their previous Peanuts DVD releases together into a "gift pack." Titled Happiness Is... Peanuts: 3-Pack Fun, this set contains the Happiness is a Warm Blanket, Charlie Brown DVD; the Happiness is.. Peanuts: Team Snoopy DVD (featuring The Charlie Brown and Snoopy Show Ep. 15: Snoopy's Brother Spike and Lucy Must Be Traded, Charlie Brown); and Happiness is Peanuts... Snoopy's Adventures DVD (featuring The Charlie Brown and Snoopy Show Ep. 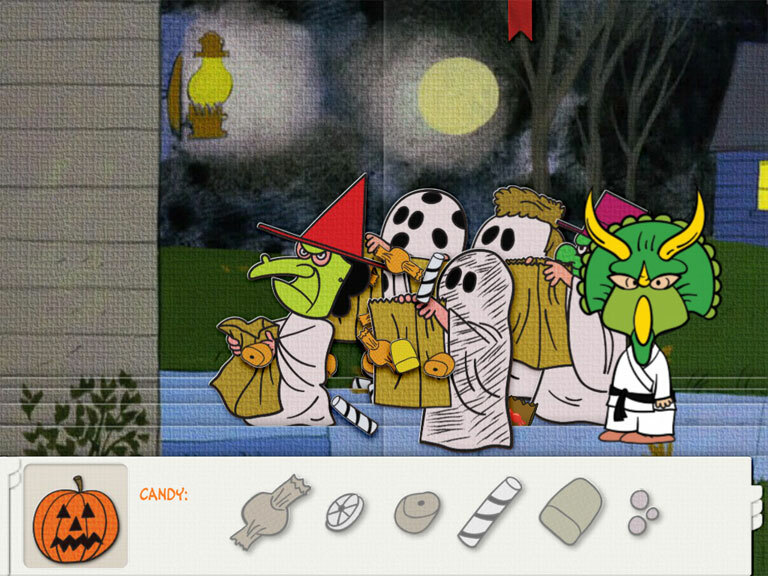 14: Snoopy and the Giant and Snoopy's Getting Married, Charlie Brown).